lawsuit. An experienced Pittsburgh personal injury lawyer can assist you in determining whether you have a potential case. An experienced personal injury attorney will know how to help you recover no matter what kind of incident occurred. While some victims may physically recover from their serious injuries after a period of time and rehabilitation, other victims may be left with permanent disfigurement or disabilities due to their serious injuries. The amount you may recover in your case depends on the extent of medical treatment you required, the amount of income you lost, the pain and suffering you experienced, and whether you have any life-long effects from the injury. Additionally, if a serious injury caused death to one of your loved ones, you are entitled to file a wrongful death claim in order to recover from the responsible party. Though financial recovery will likely never ease your grief, it can make it easier to deal with the loss of a loved one and find a sense of justice. An experienced attorney at Flaherty Fardo can help you file either a personal injury or wrongful death claim, depending on the details of your case. If you have suffered any type of serious injury in an accident because another party was negligent, you deserve to receive full and just compensation for any and all of your injury-related losses. 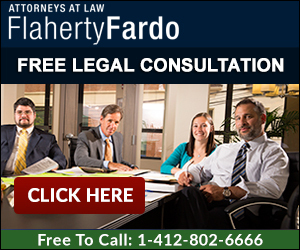 An experienced personal injury lawyer at the Pittsburgh law firm of Flaherty Fardo knows how to work to help you fully recover. We offer completely free consultations with no obligations, so you should never hesitate to call (412) 802-6666 to consult with an experienced attorney today.